Mayer was born in Minsk, in the Pale of Settlement, where the exact birth dates of most Jews were rarely recorded. My paternal grandfather, Rabbi Shmuel Avrech, also came from the Pale. When asked his birthdate he would shrug and tell us in Yiddish—he barely spoke English—that it was sometime around Chanukah. Anyhoo… back to Hollywood and patriotism. 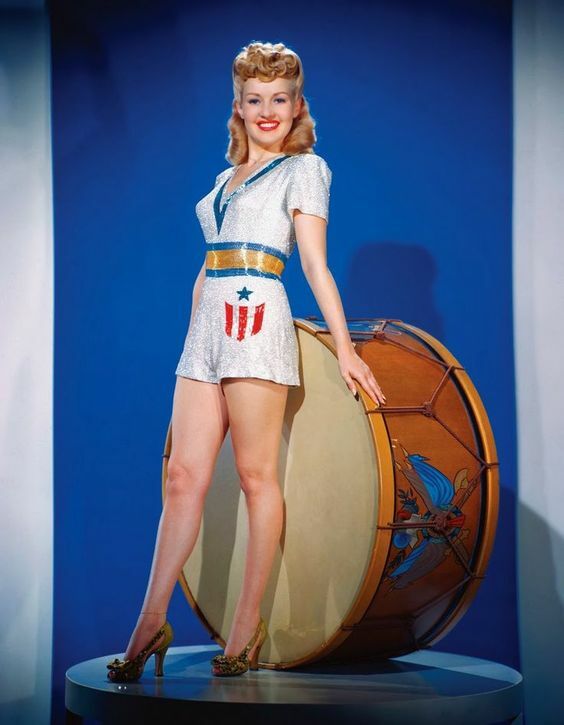 During Hollywood’s golden age, studio photographers shot thousands of publicity stills featuring contract players celebrating America with creative displays of patriotism, and, of course some good old fashioned cheesecake. 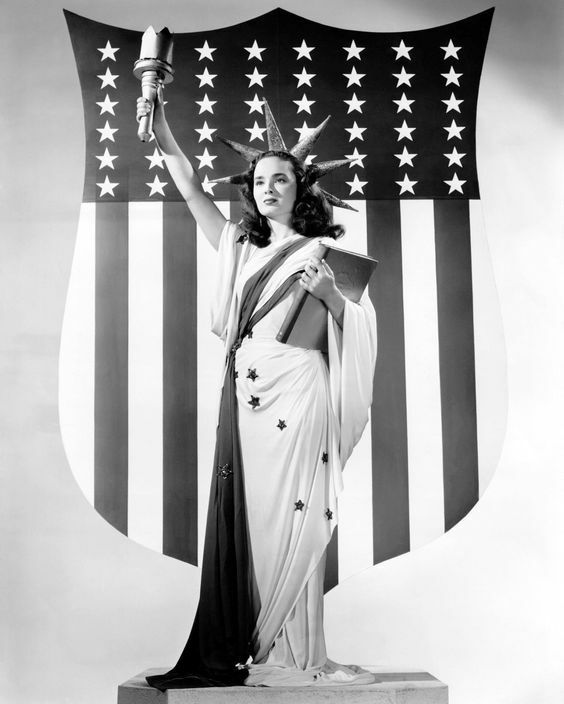 Silent star Betty Compson portrays Lady Liberty. 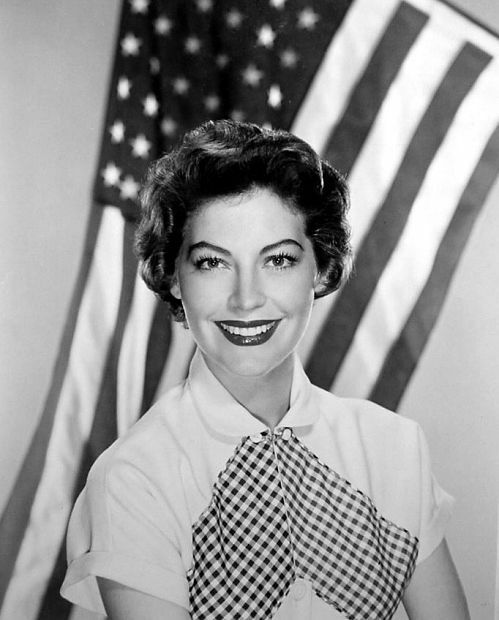 At the dawn of her career Ava Gardner posed for scores of July 4th cheesecake photos. But this pic shows a more mature and confident actress as an American icon. 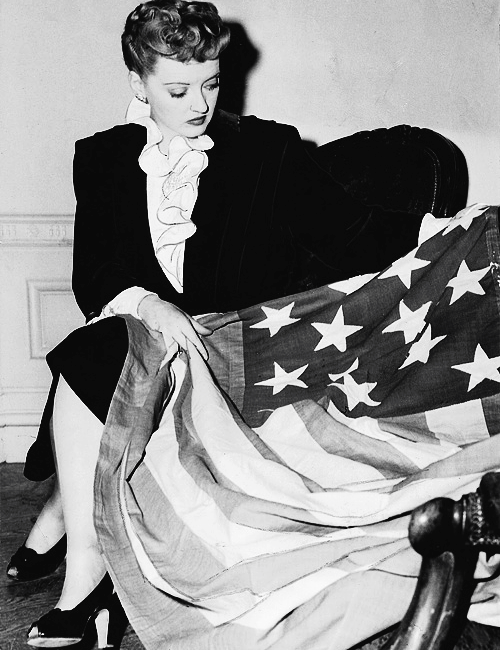 Is Bette Davis examining the stitching in the flag? The very intensity of her expression give the pose a terrific theatricality. 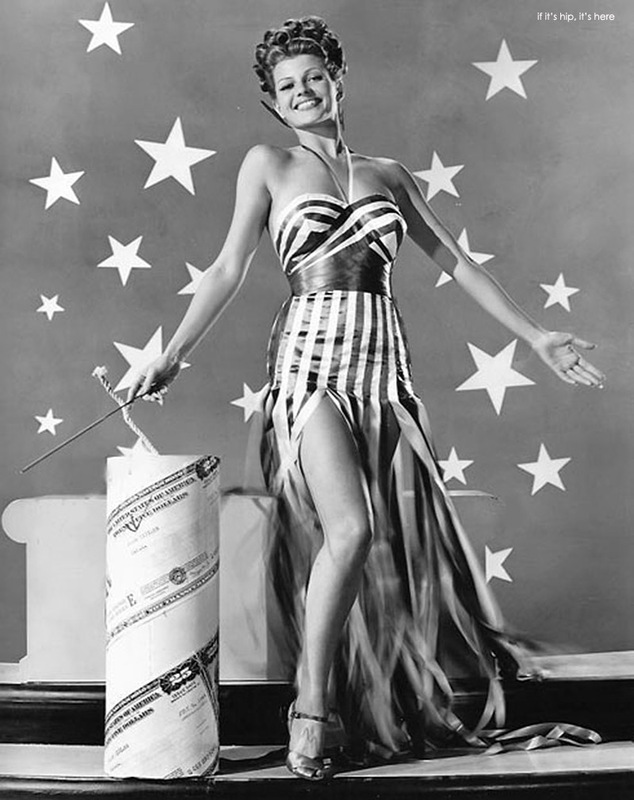 Rita Hayworth celebrates July 4 with some fireworks wrapped in, I assume, war bonds. 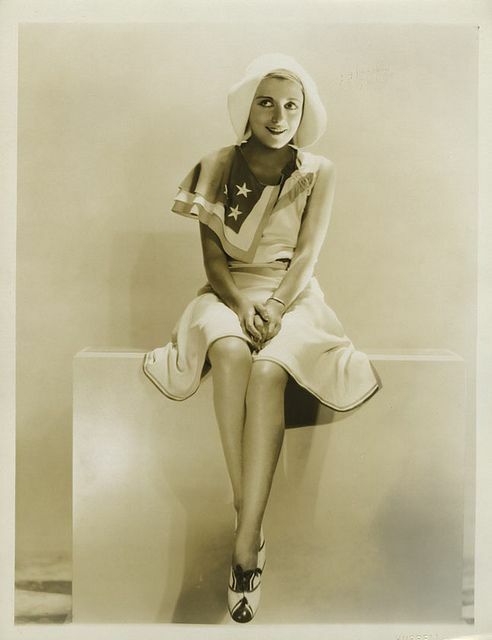 Actress Mary Doran in a subtle, stylish 4th of July US flag scarf. Madge Evans (1914-1971) posing as a revolutionary heroine, 1935. 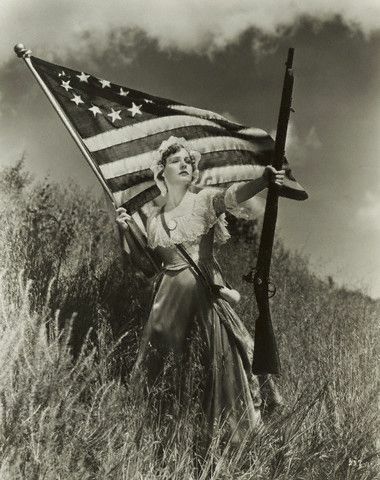 She is holding one of the earliest American flags with the stars in a circular pattern. Of course, Madge is carrying a rifle. In those days, the right to bear arms was a common-sense norm in America and Hollywood. 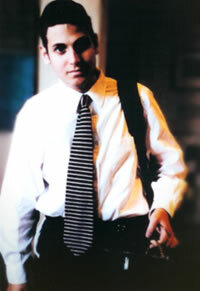 Evans started acting in silent films as a child. Under contract to MGM, she was featured in Dinner at Eight (1933), Hell Below (1933), and David Copperfield (1935). In 1939, she married playwright Sidney Kingsley, retired from films, and moved to an estate in New Jersey. 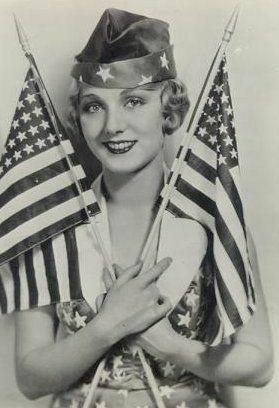 Leila Hyams (1905-1977) waves two flags in honor of July 4th. Hyams is best known for her roles in two early horror films: as a sweet, wise-cracking circus performer in the cult classic Freaks (1932) and the heroine in Island of Lost Souls (1932). Hymas retired in 1936 to marry and raise a family with legendary agent Phil Berg. Before she was a star, Joan Crawford, (born Lucille Fay LeSueur, 1904-1977) was an ambitious starlet at MGM clawing her way to the top. Unlike most actors, Crawford relished the long sessions with studio photographers. 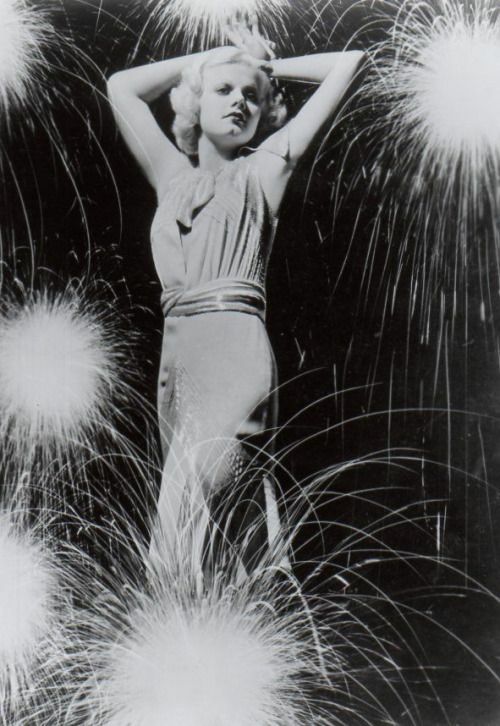 Here, in a rather elaborate photo from the early 1930’s, young Joan appears to ignite July 4 fireworks with… um… star power. 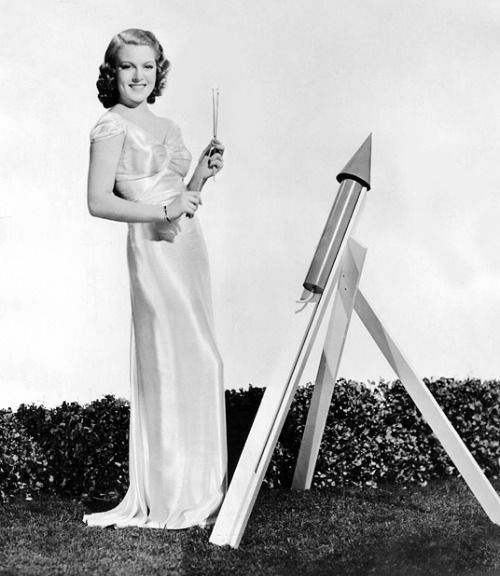 Lana Turner is about to ignite July 4 fireworks wearing a slinky gown, 1938. Do not try this at home. 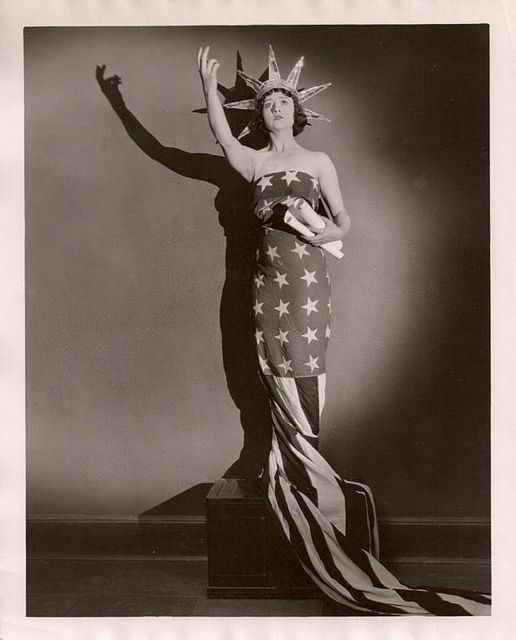 Here’s Ann Blythe as the Statue of Liberty. Norma Jeane Baker, better known as Marilyn Monroe (1925-1962), probably loved the camera as much as the camera loved her. I don’t think there was a Hollywood star who posed for more photos than MM. Monroe was an authentic American patriot who claimed Abraham Lincoln as a father figure. Her tragic private life too often overshadows the brilliance of her best performances. As Sugar Kane in Some Like it Hot (1959), Monroe gives one of the greatest comic performances in movie history. 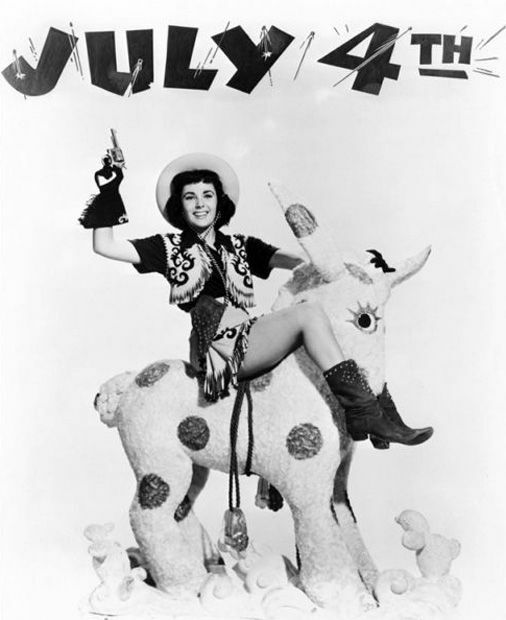 This July 4th photo seems to be referencing Elizabeth Taylor’s classic role in National Velvet (’44). Unfortunately, the stuffed horse comes across as deeply strange. 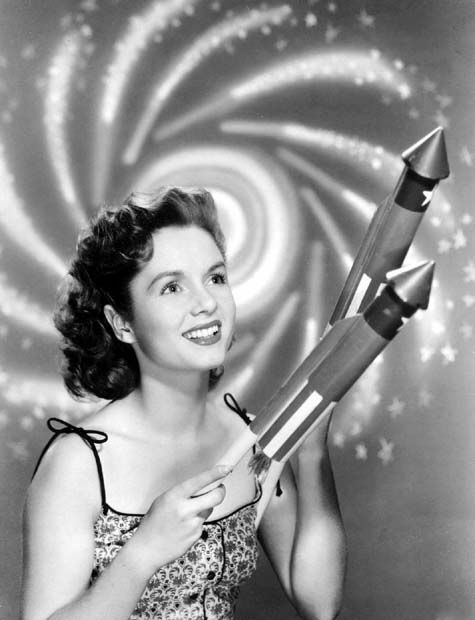 In 1953 Debbie Reynolds was one of the biggest stars in Hollywood. My daughters and now my granddaughters adore her in Hollywood’s greatest musical, “Singin’ in the Rain,” (’52). Silent film star Colleen Moore as Uncle Sam, 1923. F. Scott Fitzgerald famously said that Colleen Moore represented the Flapper of the Roaring 20s. 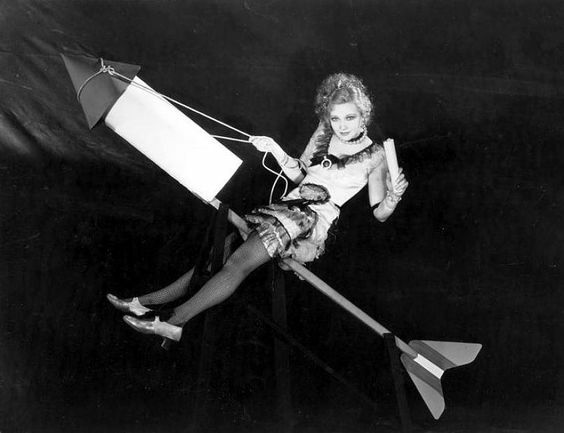 Here’s Helen Twelvetrees on a July 4th firecracker. This photo, circa 1930s, let’s face it, lacks the polish of most Hollywood cheesecake. 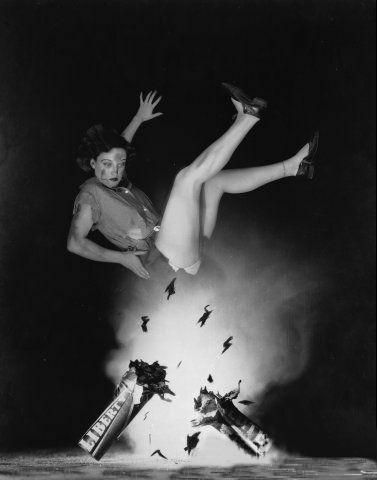 The picture also serves as an apt metaphor for Helen’s career which took off like a rocket and plunged to earth just as quickly. Marian Marsh (b.Violet Ethelred Krauth) was chosen by philandering alcoholic superstar John Barrymore to play Trilby in the 1931 “Svengali.” With her sweet innocence it was a role to which she was perfectly suited. She also starred opposite Edward G. Robinson in the excellent “Five Star Final,” 1934. 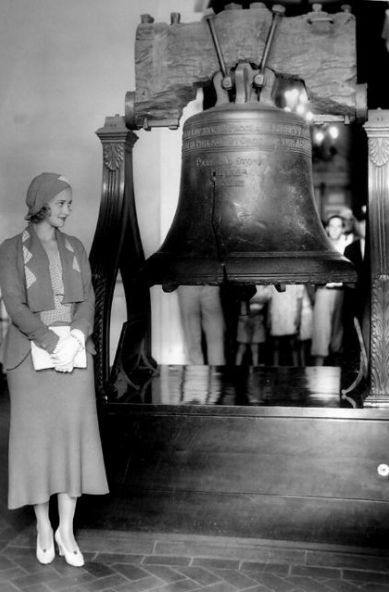 And in 1935 she appeared with Peter Lorre as Sonya, the kind-hearted prostitute in Josef von Sternberg’s “Crime and Punishment.” Here, Marian visits the Liberty Bell. 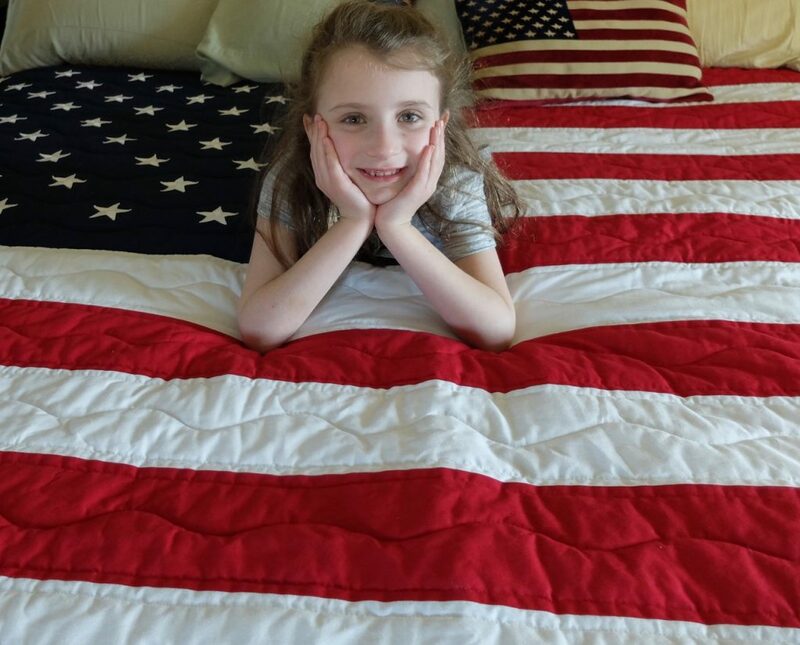 Special thanks to Seraphic Secret friend Joe Huffman who gave us this wonderful American flag quilt as a Chanukah gift. The quilt was made expressly for us by his talented sister-in-law Julie. Karen and I are deeply moved by Joe and Julie’s generosity. 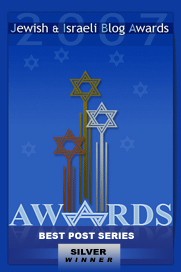 Maayan wishes all our friends and relatives a patriotic July 4th Independence/Declaration Day. Happy 4th of July, everybody. For some reason, i keep losing my password to this website. I hope I remeber this one. I had the same problem. I finally got back in and have tried to stay logged in ever since. Other than that I don’t know what to tell you. A good fourth to you too. I have a very good memory for passwords, but this website keeps on losing/not recognizing mine. I think I may stop posting. It’s been nice knowing you all. If I may give a plug, I use 1Password, which will generate passwords as complex as you like and keep them handy for you–you only have to remember a single password. And, it has mobile apps so you can access your passwords from your desktop, tablet, or phone. They may even have a free trial period (I’m not sure). I’ve used it for the past five or six years, and don’t want to be without it. Another option is to use a Mac, which is helpful for many reasons. It has “keyring”, a system tool that saves passwords for you for many contexts. Re Leila Hyams. She has a more than adorable moment with Roland Young in Ruggles of Red Gap singing, and playing, pretty baby. Available on you tube. I love “Ruggles of Red Gap”! There is a nice book about the five Hollywood Directors who went to war in WWII. William Wyler was deaf the rest of his life from filming from the bomb bay of a B 25 flying over Normandy. It’s really sad to see what Hollywood has become. Clint Eastwood seems to be the last one with a feeling of patriotism. Present company excepted always. BTW, my father’s grandfather emigrated from the Pale. He came in 1900 at the age of 21 (born on July 6 — missed it by that much) and naturalized in 1906. I have a copy of his NY Naturalization record. 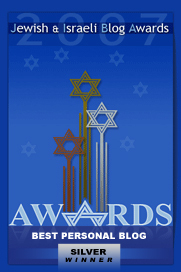 Virtually all the studio heads were Jewish immigrants and they we so grateful to be in America. What the heck happened? Good question — for a half baked sociologist to answer.